Home » Rehab Finance » What Is The Cost Of Drug Addiction? 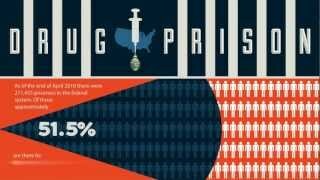 View the infographic as a flat image here: http://www.clarityway.com/blog/the-financial-toll-drug-use-has-on-american-citizens-infographic/ Want to know how much taxpayers spend on prison inmates who struggle with addiction while in prison? Learn about the costs that the War on Drugs has brought about due to the staggering growth of prison inmates, with many only having been convicted for minor drug … Continue reading What Is The Cost Of Drug Addiction? Want to know how much taxpayers spend on prison inmates who struggle with addiction while in prison? Learn about the costs that the War on Drugs has brought about due to the staggering growth of prison inmates, with many only having been convicted for minor drug possession. With data from the Center for Economic and Policy Research as well as the DEA and the FBI, we learned exactly what it costs taxpayers to rehabilitate the system. Learn about how a residential rehab program could help save us all up 0 a person! This video was based off of the image infographic we released on July 25, 2012.